I often get request to calculate income tax for readers and how they can save more tax! It’s not possible for me to calculate it for everyone. So going forward I would pick cases and show how to calculate income tax and if there is scope to save additional tax. Pl calculate my income tax. I would retire on 31 Jul 2018. My income from Apr 18 to Jul 18 is Rs. 2,50,000. Thereafter I would get pension @ Rs. 18,700 per month. As on 31 Mar 19 estimate interest on my FDs is Rs. 2,15,000. I have invested Rs. 2,00,000 in senior citizen scheme. Pl confirm how much income tax I have to Pay? As far as possible I would use the format used in filing income tax returns so that its more helpful for everyone. The total tax comes out to be Rs 3,879 which is just 0.63% of his income. This is lower than what he would have paid last financial year due to newly introduced Standard Deduction on Pension Income and Section 80TTB (exemption up to Rs 50,000 on interest income). Disclaimer: The recommendation is made based on limited information we have! Also for senior citizens SCSS is one of the best investments for regular income. So he choose the right investment for tax saving. Let me know if this was helpful and you have any other suggestions! Dear sir, Iam senior citizen I have made a fixed deposit in bank December 2018 the amount is 991000, yearly interest is 71000 and I have made a Pradhan mantri vaya Vandana scheme in Lic the amount is 1000000, the yearly pension earned in same scheme is 83000 Kindly calculate my tax. And also my interest and pension amount how much TDs ???? I shall retire on 28/02/2019.my birth date is 09/02/1959.thus I want to know that what would be income tax calculation factor for me either general or senior citizen.please send me details. will I get relief from local travel expenses. if yes what is section? I would retire on 31 December 2018. My income from Apr 18 to December 18 is Rs. 7,50,000. Thereafter I would get pension @ Rs. 15,000 per month. As on 31 Mar 19 estimate interest on my FDs is Rs. 1,20,000. I have invested Rs. 15,00,000 in senior citizen scheme. Pl confirm how much income tax I have to Pay? I retired on 31st Dec 2017.I am getting income from mutual funds and deposits .How should I calculate income tax ? I am retired on 30th April 2017 . My total income consist of salary of April and pension of eleven months. My question is whether entire amount of Gratuity and commuted pension is tax free. 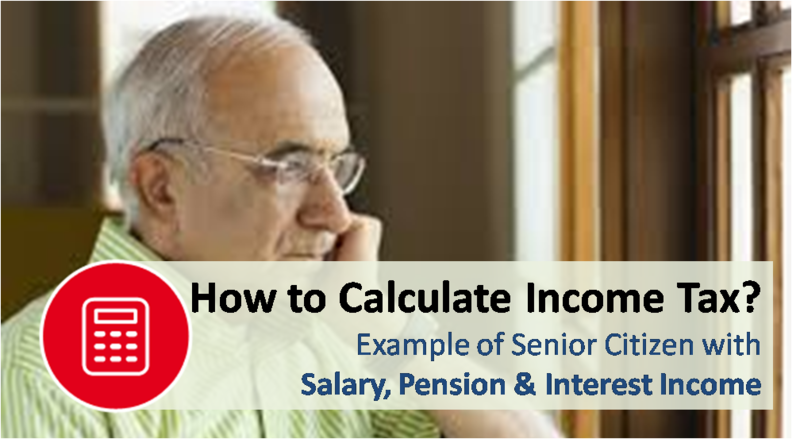 Shall I show amount of Gratuity, commuted pension ,provident fund in income tax return. And where we have to show exemption. New gratuity act wef 29.3.2018. How we will get exemption from FY 2019 for pvt / PSU employee. Whether we have to pay IT for over 10 lakhs. Pls guide me. How it is acceptable. I want to know that how much income tax returns I need to pay? And what are the exemptions that I can have to reduce tax amount? 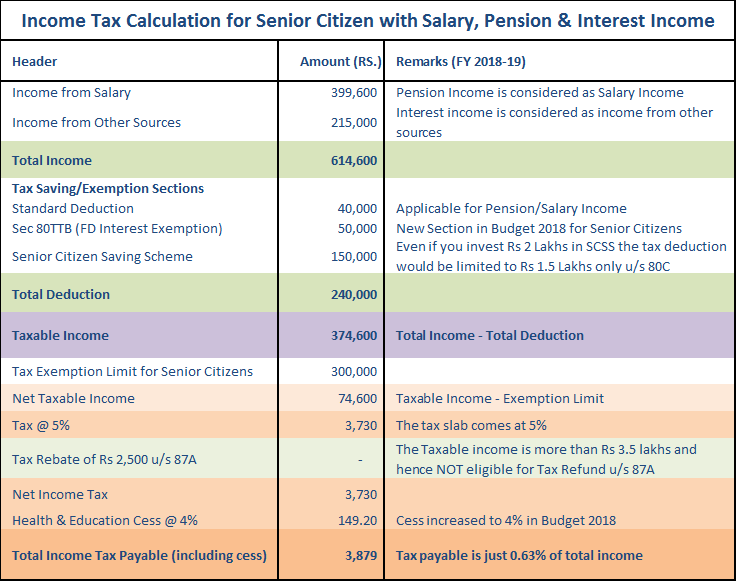 For FY 2017-18 your tax including education cess would be Rs 72,013 (assuming you are senior citizen and net taxable income as stated by you is Rs 7,99,580 . I m 62 yrs pensioner. I m getting rs 30208 as gross pension monthly and there is deduction of rs 4266 of advance commuted . Is amount 4266 is taxable or exemptable???? You would only be taxed on the pension received (i.e. 30208 – 4266). The commuted pension is tax free!